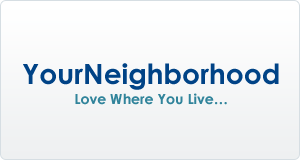 YourNeighborhood (www.yourneighborhood.co) is like a Yelp guide for neighborhoods. The idea behind YourNeighborhood is to use local insights to help singles, couples and families find suitable housing in New York City. Whether moving to New York City from elsewhere or relocating within the city, we want you to find the neighborhood that best suits you, your personality and your individual circumstances. Are you an uptown kind of person? Or would you be more comfortable in the Bronx? Do you need a neighborhood with plenty of nightlife? Or do you need parks, schools and playgrounds for your children? There’s a neighborhood that meets your needs, and we’ll help you find it. With the help of our homegrown algorithms, home hunters who plug in the criteria most important to them are guided to the areas that best meet their needs. YourNeighborhood profiles are written in a lively, informative and engaging voice. They include a description of the neighborhood (and suggested alternatives); price range; landmark and transit information; details about restaurants, shopping and schools; and user-generated photos and reviews.